This Handbook provides how-to information for developing a communication infrastructure for organizations to prevent avoidable declines and maximize good outcomes. 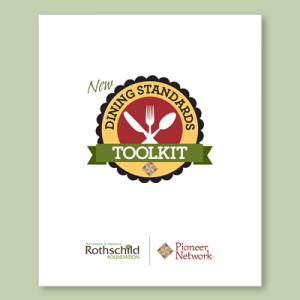 Must-have resources for nursing homes to improve performance! 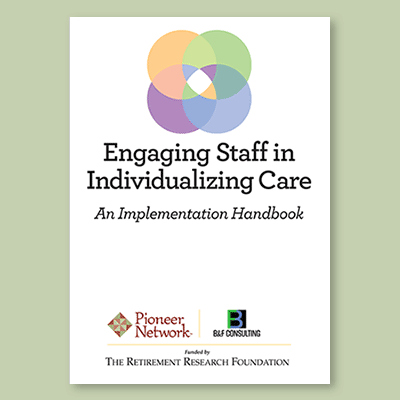 “Engaging Staff in Individualizing Care: An Implementation Handbook,” developed by B&F Consulting and Pioneer Network through our National Learning Collaborative project funded by The Retirement Research Foundation. This Handbook provides how-to information for developing a communication infrastructure for organizations to prevent avoidable declines and maximize good outcomes. The communication infrastructure creates a pipeline for information flow and collaborative problem-solving to catch early warning signs, identify individualized solutions and bring the whole team together to ensure positive resident and staff experiences and good organizational performance. The second resource is the “Communication Map for Engaging Staff in Individualizing Care.” This Communication Map supports the Handbook by depicting how these foundational practices facilitate communication throughout the organization. The map also illustrates what happens when this valuable information about residents is not shared among co-workers or across all the organization. Use the tool to map your current communication process and discover opportunities to strengthen your communication infrastructure. 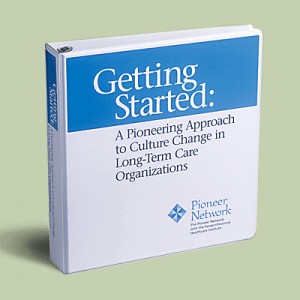 The Handbook and Communication Map draw on the experiences of forty-nine nursing homes that worked with five state culture change coalitions and four corporations to incubate B&F Consulting’s method. These homes were able to accelerate and sustain improvement in promoting mobility while preventing falls, eliminating off-label anti-psychotics, and preventing avoidable hospitalizations. The Handbook guides organization through a layered implementation of four foundational organizational practices for engaging staff in individualizing care to. The four incubated practices together provide the infrastructure needed to continually improve quality of care and quality of life outcomes. This communication infrastructure provides the backbone for success in efforts to implement QAPI, provide good behavioral health, improve accuracy of the MDS, and operationalize person-centered care planning. Used together, these practices create a system to accelerate clinical improvement by capturing and applying staff’s deep timely knowledge of residents’ individualized needs, customary routines, and daily condition. The practices provide daily mechanisms for the staff closest to the residents to work with the rest of the care team to design and use effective interventions that improve resident’s quality of care and life, and ultimately result in better organizational outcomes.